I struggled growing up. Struggled with acceptance, fitting in and finding acceptance of myself and for others. I feared commitment and being let down. I surrounded myself with athletics and discovered my love for dance. Dance was my first obsession and was an activity that put me outside myself. It felt so freeing to express myself in a way I couldn’t express with words. I just simply let it out through self-expression. I was so outgoing, so confident on stage but when put in a group of friends I found myself always trying to be whom or what you wanted me to be without ever really knowing who I was. I started drinking when I was 16. The first day I took a drink, I ended up in the hospital with alcohol poisoning. Go hard or go home. The second my mind started racing I knew alcohol would silence all of my anxious thoughts. It would take me outside of myself and allow me to be myself, which I struggled with constantly in any group of people that I surrounded myself with. I always prided myself on being able to connect with others but I was always seeking to be who they wanted me to be not ever just simply being myself. The obsession to dance quickly turned into the obsession to drink, which became the obsession to depend on another human. When I was in a relationship for 4 years, the obsession became codependency mixed with still never feeling good enough. I was setting expectations and ideals on this person to be perfect for me in situations that, in reality, never existed. I would do anything to control and keep this person in my life. When I became ‘not good enough’ for this person I was faced with feelings of let down, of failure, of wanting to die if this person left me. When they left me for heroin I felt there was nothing else I could do but be whom they wanted me to be to keep me around. When the first high set in, knowing I didn’t have to feel or think and try to keep the love of my life in my possession. I had found the answer to my inner feelings and my outer problems. It was heroin. While using, I was drowning out emotions and thoughts. Whatever the situation was, I knew that if I kept letting myself down more, drugs would keep my thoughts and emotions calm. I suffered from such bad emotional anxiety my whole life and finally it was gone. I finally felt relief. The calmness in the beginning became struggle towards the end. My girlfriend was cheating on me left and right and I was justifying it by telling myself it was my own fault. I did more drugs to hide it. I became a slave to a lifestyle of no sleep and drowning myself in work. Emotionally, physically and spiritually I was gone. All the dreams and aspirations I one day had no longer existed I had no hope left. As far as I knew life had failed me, I had no purpose. I lost everything that I worked so hard far and the only thing I still had was my family. 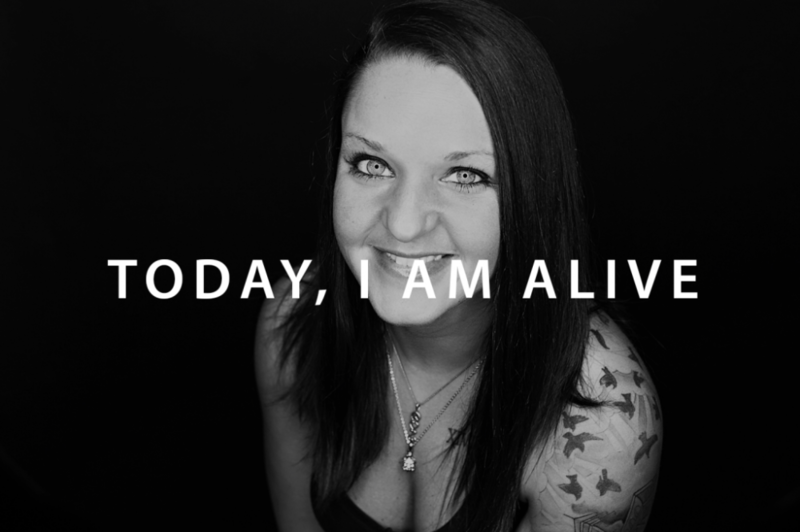 I surrendered the day I decided to go to rehab for the first time. I sat outside talking to someone who had been through the same situations as me and suffered from the same loss of self and gut wrenching emotions of having no purpose. During this time, countless people came up to me and hugged me as I hysterically cried. They all told me I was beautiful, that they loved me and everything was going to be okay. People I didn’t even know. I made the conscious decision to take myself away from life for a little while. To give myself a change to go to detox and then rehab to hopefully figure out why I continuously try to live my life for anything but myself. August 28, 2013 I made a decision to change my way of life and my way of thinking. I gave my willpower over. Because all of the control thought I had in my life had brought me to utter destruction and despair. The drugs made me feel ‘normal’. They drowned out the feelings and the negative, self-destructive thoughts. They were my medication to the real problem. The problem was ME. The journey I have been on for the last 261 days has been a miracle. It is a miracle in itself that I have the opportunity to even still be here yet alone help others to see they too can feel what I have felt and feel now. I am awake. The anxiety is gone. I am accepted by the people in my everyday life because of who I try to be today, with the guidance of something greater and more powerful than me. Today the signs are evident because I choose to see them. Today I live for the moment because where I end is where I belong. The things I have been through have made me who I am and can only continue to make me better if I allow it to happen and not hold myself back. My thoughts and actions are handed over because I do not decide my destiny. I am at peace in myself and only wish to allow others to see the beauty that surrounds me with like-minded people everyday. We do change. People can change if they are taught the right way to do so.